The horror-comedy gets a trailer and it looks good and has gotten some very good word of mouth from festivals. “Zach is devastated by the unexpected death of his girlfriend, Beth. But when she miraculously comes back to life, Zach takes full advantage of the opportunity to share and experience all the things he regretted not doing with her before. However, the newly returned Beth isn’t quite how he remembered her and, before long, Zach’s whole world takes a turn for the worse. 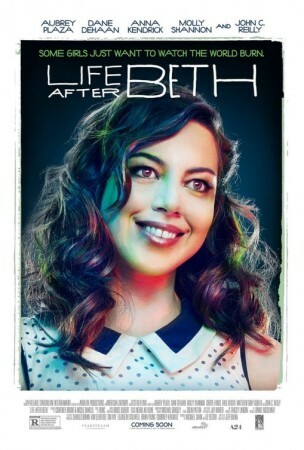 Life After Beth starts Aubrey Plaza, Dean DeHaan, John C. Reilly and Molly Shannon.